What is the minimum amount of exercise per week? When your daily schedule resembles a Tetris game of work, family and social commitments, it’s easy to feel like you have no time to exercise. Setting aside time for a 20 minute run or an hour-long pilates class can seem like a huge effort, especially when you factor in travel time. However, there’s no need to abandon your fitness routine altogether. It turns out the bare minimum amount of exercise you need in order to improve your fitness levels is a lot more achievable than you think. Any guesses? Hint: it’s not 3 hours. It’s not even one hour. No, according to a new study, the magic number is just three minutes of high-intensity exercise per week. That’s right – three. No matter how busy (or, ahem, lazy) you are, you can probably agree it’s possible to set aside three of the approximately 10,080 minutes that make up an entire week. For the study, a team of researchers monitored 14 sedentary and overweight – but otherwise healthy – men and women as they undertook a high-intensity training program. Using computerised exercise bikes, the volunteers exercised for ten minutes, consisting of a two-minute warm-up, three 20-second intervals of “all out” pedalling followed by two minutes of slow pedalling, then a three minute cool down period. Just one minute of this routine – which the participants completed three times a week over a six-week period – classified as high-intensity exercise. At the end of the trial, the men and women all presented improved blood pressure and had increased their ‘peak oxygen uptake’ by 12% on average. That’s a pretty exciting improvement for just 30 minutes of exercise – and just three at a high-intensity – a week. 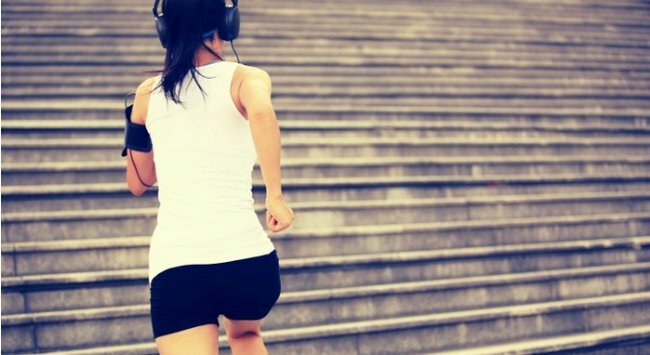 The study leader, Martin Gibala from McMaster University in Ontario says intensive cycling isn’t the only way to achieve this level of exercise – simply running in place or up a staircase would have the same effect. Of course, it goes without saying that you should aim to do a lot more than just 3 minutes of exercise per week – but it’s reassuring to know that if you don’t have hours at a time to dedicate to working out, you can still keep fit and healthy. How much exercise do you do per week?